How to produce "Nice Rosy Adenium"? Hello Adenium Lovers; Nice to see you again. 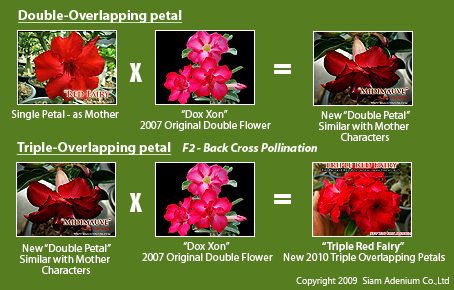 Today I would like to share the idea about “How to make nice Rosy Adenium or Multi-overlapping petals?”. 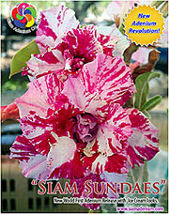 I have got many questions from Adenium lovers around the world, breeders and customers about it. I don’t focus on making Rosy Adenium or multi-overlapping petals, making this very easy, but I focus on making or developing nice, modern, and more new cultivars or flowers. I assume that you know how to do the crossing pollination by hands. If you don’t know how to do this, please click here. Let’s begin. 1. What parents should I use to do hand crossing pollination? 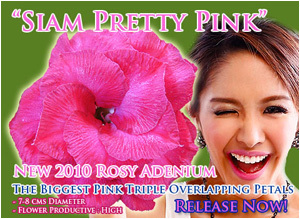 - The first release of Rosy Adenium was “Dox Xon” was discovered by my friend, Mr. Khoung, from Vietnam on 2007. She came up with red double overlapping petal. 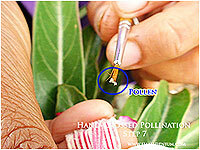 On ending of year 2008, we started using this Dox Xon’ pollens and put in many single petal mothers of many flower styles. We have got only 20% become Rosy Adenium. Then we selected 20% of them and start grafting their scions with other native rootstocks in order to make sure their flowers are stable before releasing to market. We’ve found that only 15% are stable the same as original. Adenium mothers, not come up with many styles but you can get more about 40% become Rosy Adeniums. That’s why I don’t like to do with this way. many single petal adeniums since 2005 and until now we have over 200 different flowers. That means if you have big pocket with full of nice single petal adeniums so you can also produce many nice Rosy Adeniums with many attractive styles. We have a lot of many single petal styles so that means we have many choices to choose single petal adeniums in order to do crossing with Rosy Adenium. We always imagine what final flower outcome would be before start crossing each other. Please remember, the key of success with making attractive Rosy Adenium is nice Single Petal Adenium itself, not Rosy Adenium. Just keep crossing and crossing with your imagination and you will get many new flowers styles. before making crossing each other. We use cow manure mixed with the soil You will see adeniums much more healthy and stronger e.g. more fresh green leaves and caudex. After that stop watering with water for a week, then mix the flower or orchid fertilizer and watering instead of water on 2nd week for 3 days consecutively. On 3rd week, you will see many flowers coming up. Waiting for 2nd day of blooming to make crossing. When you do crossing, make sure your equipment or tools are clean and pollen from real father not mix with pollen from mother plants. After adeniums give baby seed pods, you need to spray them with “Calcium” and “Boron” chemical on leaves and seed pods once a week. 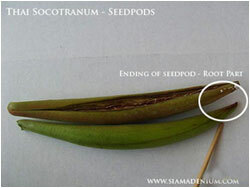 This can help seed pods very strong and big seeds (higher germination rate). ok, this is our some of main ideas of it. There are many more ideas or tips I would like to share. Enjoy growing and developing nice adeniums and have a nice day.